Volunteer in Bali with Volunteering Solutions, an international volunteer placement organization, offers a series of professional, meaningful and affordable opportunities throughout the year. You can choose from a range of projects including Childcare, Teaching English, Kindergarten and Marine and Coastal Reef Conservation. Projects in Bali are located in Ubud and Tianyar - both these locations have been chosen to keep in mind the need of the societies. While serving the society, you'll also get to explore the island and experience the cultural richness that the place has to showcase. Adventures in Bali would never seem to end! One of the most gorgeous islands in Indonesia, you might just fall short of time exploring the beauty of Bali. You can head towards Munduk to witness the gorgeous sunrise, or travel to Baratan Lake in Bedugul, Central Bali. Spend a day exploring the Monkey Forest and then go for a hike up to see the Gitgit Waterfalls. Pay a visit to the Tanah Lot Temple - one of the most gorgeous temples in Bali and get those Insta-worthy shots! In case you are seeking a soothing weekend, then go cycling around the exotic villages of Northern Bali, covering the scenic Jatiluwih rice terraces, with Mt. Batur and Kintamani at its backdrop. Explore the gorgeous temples over the weekend - Bali has some beautiful temples that you've probably seen several times in photographs, but now is the time to see them in real. Over the weekends, you can visit Tanah Lot Temple, Uluwatu Temple, Besakih Temple etc., and get those postcard-perfect shots! Spend a day at Bali Safari and Marine Park - This one of the island’s largest and most visited animal theme parks, and you'll have a great time exploring this place which is home to over 80 species, all of which roam free in large enclosures that mimic their natural habitats. Go parasailing at Tanjung Benoa Beach - If you have 'Try out watersports' added to your Bali bucket list, then make sure to head off to Tanjung Benoa Beach during the weekends and go parasailing! This is one of the safest activities to do in Bali and you can be assured of flying with types of equipment that fulfill the international standards. 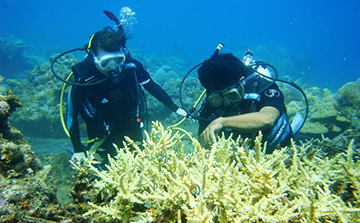 Apart from parasailing, you can also go for scuba diving or sea walk at Tanjung Benoa. 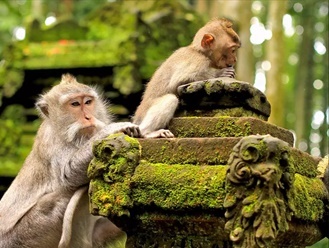 Spend a day at Ubud Monkey Forest - Having more than 700 monkeys, this place definitely is worth visiting! Well, if not for anything else, then just to enjoy a fun-filled day with these primates. You can marvel at the playfulness of the monkeys swinging from one tree to another and also visit the number of ancient temples which are located inside the forest. Attend cooking classes- For those who wish to just relax and spend time on the beaches, can hit a cooking class for a few hours over the weekends, and learn how to prepare authentic Balinese cuisines. 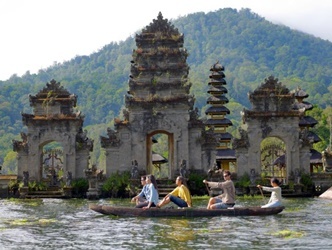 When should I apply for the volunteer programs in Bali, Indonesia? As we have limited spots available in our programs and we serve on first come first basis, it is recommended that potential volunteers book their programs well in advance to get confirmed placements. You can book your slot by filling the application form online and pay the application fee of $250. You can pay your program fee later and also, in installments. However, the complete payment should be made 45 days prior to the starting date of the program. If you are volunteering in a group, you can also fill a group application form. After you complete your application, your personalized ‘My Account’ will be activated.You will need to upload your CV/Resume along with your photo in the same. Our back-end team and the placement site takes around 10-12 days to review your application. After we review your CV and documents,your booking is confirmed and booking confirmation is updated in your ‘My Account’. Some projects need mandatory criminal background check and the same is mentioned in the project info of your program. Approval of your application depends on your qualification and eligibility criteria for each project. When do I need to arrive in Bali for my program? What will happen once I arrive here? Volunteers are provided with the airport pick up from the Ngurah Rai International Airport, Denpasar (DPS), between 6 AM to 10 PM on the date of arrival (Saturday, as chosen) by the coordinator or representative. You'll then be taken to the accommodation in Ubud, where you can rest for the day. Volunteers who have chosen project in Tianyar will be taken to the destination on the next day. Will VolSol provide a discount if I choose more than one program or if I am a returning volunteer? Volunteers can get a free Visa on arrival that'll be valid for 30 days. Paid Visa on arrival can be obtained for 35 USD, that'll be valid for 60 days. Extension of the same for another 30 days will cost 85 USD. Your local coordinator will assist you in that case. You can also get in touch with the Program Advisor for further details after application procedures are completed. What are the recommended inexpensive airline options to reach Bali? Almost all major airlines have flights to Bali. Garuda Indonesia, Air Asia, Thai Airways, Malaysian Airlines, QANTAS, Etihad, Emirates, Lion Air, Scoot, Singapore Airlines, Malindo Air are the major airlines have flight operating to Bali. Many airlines like KLM, Lufthansa, British Airways, ANA and more, have code-sharing arrangements with other airlines and offer seamless connections to Bali from all over the world. In Ubud, there are several money changers. You can change your money at any of the authorized money changing outlets or in a bank. Those participating in Tianyar program, can get their money exchanged during the couple of days in Ubud, before their program commences. There are several ATMs in Ubud. How safe is Bali for the volunteers? Being a popular zone among tourists, Bali is overall a very safe destination. However volunteers are advised to follow guidelines and suggestions given by coordinator. Program coordinators will give you necessary information regarding the safety as well as the Do's and Don'ts. The locals are friendly and helpful as well; however, it is recommended to consult your in-country coordinators before you step out alone or go to any other place apart from Ubud or Tianyar. Also, it is recommended to be with your group whenever you venture out or stay out late in the night. Carry general medicines with you, and consult your doctor before setting out for your volunteering trip to Bali. There is no mandatory vaccination to stay in Bali. However one can discuss with the doctor and may take vaccination for Rabies, Dengue, Malaria, Hepatitis and Tetanus. Your program coordinator will take you to your placement and will introduce you to local staff there. 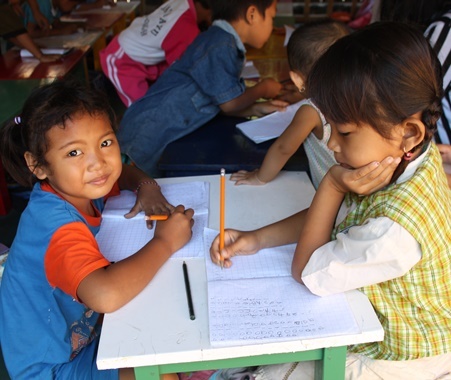 School in Tianyar is at a walking distance, just 5 minutes away from the accommodation. On Monday, once you arrive in Tianyar, you will be taken to the placement for introduction. For Ubud program, traveling from accommodation to school and coming back is included in the program cost. In Ubud, accommodation is arranged in a home stay. Each room has toilet and a small kitchenette with refrigerator and stove. One can buy the supplies and prepare or make a basic food if required. Hot and cold running water and shower is available. Wi-Fi is available at the homestay. Accommodation is located in main Ubud town. Shops, restaurants, ATM, pharmacy, taxi stand, everything is at a walking distance. Volunteers can get familiar on day of arrival with the local area or they can also take help of caretaker at accommodation. In Tianyar, accommodation is in a volunteer house, which is a cluster of beautiful bamboo cottages. To make it environment friendly, each cluster has a separate bathroom and toilet, also made of bamboo and canes. Each cottage has a sit out area and fans are installed. There is no Wi-Fi here. There are two common areas where volunteers can have meals or can sit and chat. There is a kitchen where meals are prepared. Volunteers need to bring their own towel, toiletries, toilet roll etc. At a walking distance of 10-15 minutes, there is a department store and a local restaurant. Vegetarian food is available at accommodation. Will there be any additional expenses during my stay in Bali? In Ubud, one can expect expenses of USD 60 to USD 75 for meals, water bottles etc. This amount may vary in actual. For weekend trips, expenses will be additional. In Tianyar, one can expect expenses of USD 20 to USD 30 for snacks or water bottles etc. This amount may vary in actual. For weekend trips, expenses will be additional.